Note: Your name and employment data will NOT be reviewed by the Planning Committee during evaluation of applications. Please do not identify yourself in response to questions. COMMITMENT OF APPLICANT: Leadership Cayman requires a major time commitment from participants, including several half-day and full-day programmes. I realise that I must attend the Opening Retreat and 9 of the 11 seminars in order to graduate. If selected, I am willing to make such a time commitment. In addition, I understand that all programmes and speakers’ comments are considered confidential. I agree to the selection process and acknowledge that I am at least 30 years of age. 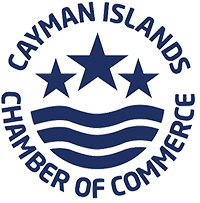 COMMITMENT OF EMPLOYER: Applicants of Leadership Cayman must have the support and commitment of their business or organisation. The signature of the applicant's supervisor is necessary as an indication of this support. has my full support for the time and personal commitment required to participate successfully in Leadership Cayman. INVOLVEMENT: Please list in order of importance to you, the organisations in which you have been involved during the past few years and your leadership roles. To the right of each, indicate the time you currently devote to that organisation each month. How did you become aware of this programme?